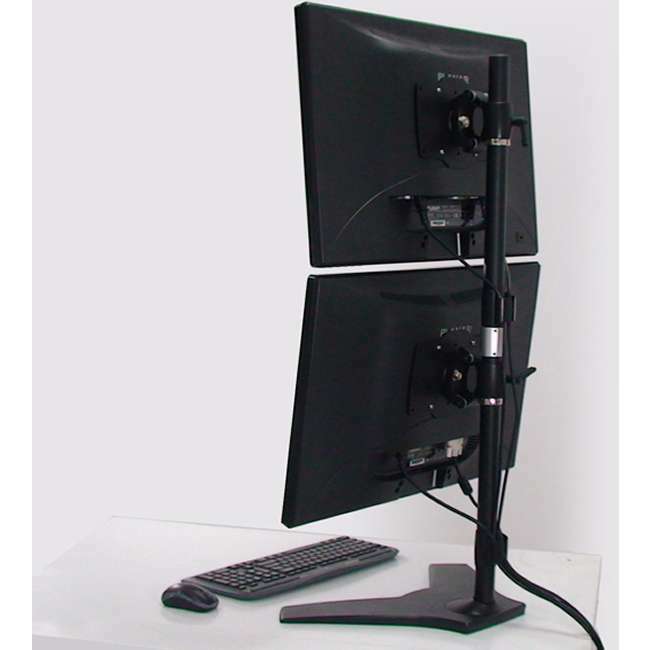 The AMR2S32V is a stand-style monitor with an adjustable height that supports up to 2 LCD monitors. The vertical and stand construction of this mount allows for more work space and a great number of advantages for those wanting to create a more ergonomic and functional environment. SEE MORE and DO MORE™ with features like: Arm Angle-Adjust, Smart Torque Adjust, Aluminum Alloy Structure, Easy Installation, 90 degrees rotation and Height Adjust. In addition to these features, the device is also compatible with VESA 200×100/ 100×100/75X75 and suitable for monitor sizes 24" to 32".